Science Q&A: Is there such thing as Kryptonite? All Americans know Kryptonite as the green, glowing radioactive crystal that Superman is vulnerable to. Though the Superman comics were created in 1938, Kryptonite wasn’t part of the verse until about ten years later. It’s been argued that Kryptonite was introduced into the Superman world because the all-powerful hero role was starting to get stale. Countering against an increasingly dry plotline, the radioactive substance from Krypton made its debut in “Superman #61” as a red crystal. The green crystal, by which Kryptonite would come to be recognized, was widely used in the late comics during the 50s and 60s. Rooting fiction into science not only makes comics fun, but grounds the fictionalized world into a certain facet of reality, making the story more believable. Kryptonite was inspired by taking into account real science (or at least authentic scientific-sounding stuff). The different varieties of Kryptonite, for instance, such as gold, blue and red, represent different isotopes of the green Kryptonite’s chemical structure. Isotope: variations of a particular chemical element. All isotopes of a given element share the same number of protons, but vary in number of neutrons. There are many theories behind the molecular structure and varieties of Kryptonite, each specific to different Earths and pre- or post-crisis periods of the Superman story. Kryptonite was first designed to be a metal by co-creator Jerry Siegel, who named it K-Metal, and designed it to have similar effects on Superman. This version was the earliest known record of Kryptonite, but it was never published. In most of the comics, Kryptonite was just depicted as a fragment from the planet Krypton, irradiated once the planet exploded. Significant detail to its composition wasn’t given until later in the Superman series. Kryptonite was described in the first season episode of “Lois and Clark: The New Adventures of Superman” as a transuranic element (element 126) that eventually decays into solid iron. Although Unbihexium takes its place on the periodic table as element 126, it does not possess any properties related to the fictional Kryptonite. Transuranic element: a chemical element with an atomic number greater than 92. All these elements are unstable and emit radioactive particles as it decays over time. The 1983 film “Superman III” introduced Kryptonite as a more complex compound which could be synthetically produced. According to Gorman’s analysis, Kryptonite is made up of 15.08% plutonium, 18.06% tantalum, 27.71% xenon, 24.02% promethium, 10.62% dialium, 3.94% mercury and 0.57% of an unknown substance. 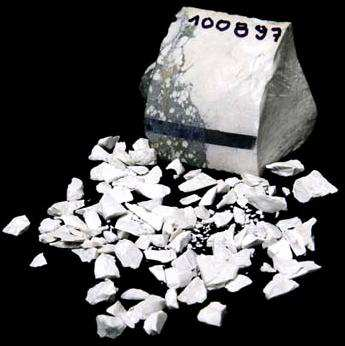 The chemical formula, written on a case of the synthesized material, reads: “sodium lithium boron silicate hydroxide,” and is even given a half-life of 250,000 years. Later in the movie “Superman Returns,” “with fluorine” was added at the end of the chemical formula’s name. Half-Life: the amount of time it talks for a substance undergoing radioactive decay (or other means of decay) to decrease its mass by half. This number is expressed as t½ . So where does Kryptonite get its name from, other than Superman’s home planet? Krypton, however much it shares its name with Kryptonite, is nothing like the fictional stone. 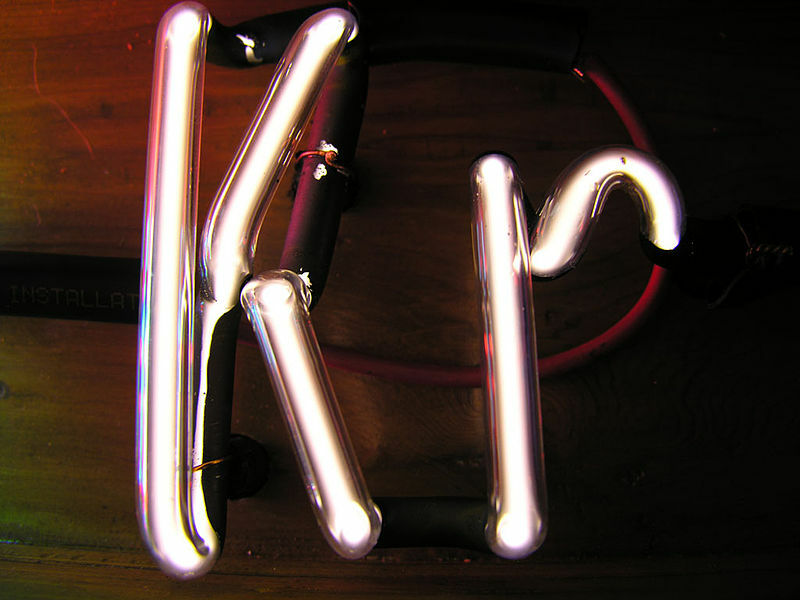 The chemical element Krypton is number 36 on the periodic table of elements and it is a noble gas used in fluorescent lamps. It is also believed that co-creator Jerry Siegel specifically named Superman’s home planet after the element Krypton, due to similarities between the element and the planet. Enemies of Superman were most likely optimistic when they learned about a new mineral discovered in a Serbian mine in 2007. After analyses by mineralogist Dr. Chris Stanley of London’s Natural History Museum, the new compound was found to share the exact chemical formula as Kryptonite: sodium lithium boron silicate hydroxide. Unfortunately the new mineral is harmless, it does not emit any sort of radioactive glow, nor is it green. The white, chalky-looking stone is hard but small-grained. It also has a pinkish-orange fluorescence under ultraviolet light. Fluorescence: Some rocks and minerals emit light, both visible and invisible to the human eye due to radiation it absorbs from electrically and magnetically charged particles. When exposed under an ultraviolet light, the radiation can be seen as a colorful glow. Instead of killing Kryptonians, the new mineral could have commercial uses if mined in sufficient quantities. Lithium is a common ingredient in batteries as well as pharmaceutical medicines, while Boron is used in transporting radioactive waste. Due to its differences between the noble gas Krypton, the scientific community, unfortunately, could not in good/nerdy consciousness name the new mineral Kryptonite, no matter how big a coincidence the discovery was. Instead, it was named Jadarite, after the town in which the mine was located. Previous Previous post: Roommate burnout?